Peace of mind for caregivers and renewed independence for loved ones. Clear2there smart care solutions combine to deliver a reliable, cost-effective home care monitoring system, providing independence to seniors and disabled persons and peace of mind for their loved ones. In addition to video monitoring and access control solutions, Clear2there smart care technologies include shower pull cords, bedside alarms, fall detection devices, panic/alert pendants and other vital sign monitoring devices. A video surveillance system is a simple and affordable way to stay in visual contact with your loved ones. Smart door locks help to keep your loved ones safe, ensuring home access is provided appropriately. Smart automation can operate and regulate lights and thermostats, promoting comfort, safety and cost-savings. Reliably monitor and track health vital signs and wellness data on a regularly scheduled basis. Clear2there smart care solutions incorporate remote monitoring and access control technologies along with a broad range of telemedicine and healthcare devices. Service users can create customized rules-based alerts based on individual situations and needs which can be accessed from any authorized internet-connected device, such as a desktop computer, smartphone or tablet. The smart care system can be utilized with a variety of devices, such as blood pressure, heartbeat and breathing monitors, as well as with remote personal emergency pendants. Additionally, the service can support video and motion-sensitive monitoring solutions. Receive a snapshot or live video on your smartphone whenever someone enters a room. Remotely disarm a security system and open a door to allow access for caretakers, housekeepers or friends. 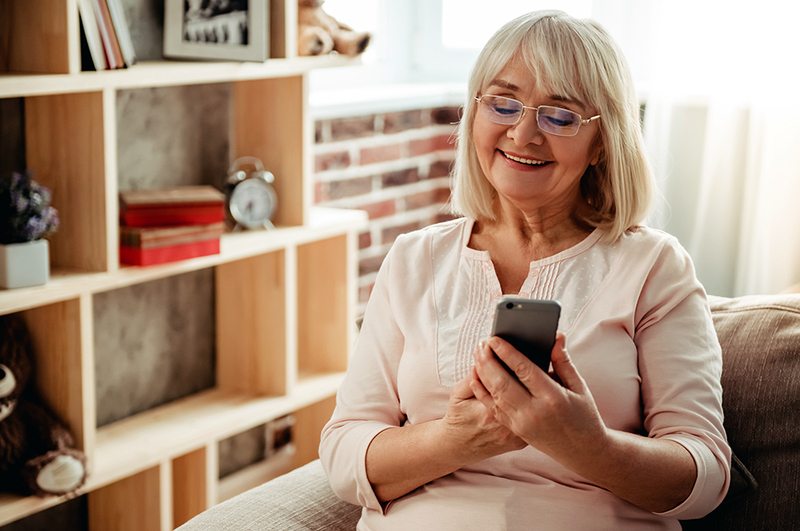 Receive alerts and alarms via text, email, or text-to-speech from sensor data when doors are opened, eliminating worries about loved ones leaving home on their own. Receive a notification if a loved one is up and moving by a certain time each morning, or if they get up in the middle of the night. Leverage motion sensors programmed to detect lack of motion, which can then signal immediate notifications to caretakers and family members. Program devices to operate based on events or activities. For example, lights can turn on automatically when someone enters a dark room, or can be programmed to turn on and off based on a predetermined time schedule. Learn how Clear2there’s complete suite of video surveillance, access control and smart automation solutions can help keep your loved ones feeling safe, secure and independent.